Herman Bennett’s presentation, “Before the Human: Africans, Sovereigns & Slaves,” will take place in 160 Willard on Thursday, February 21, 2019, at 6:00 p.m. Description: How might the focus on eighteenth-century race and commodification obscure earlier and equally expansive ideas about difference and dispossession? 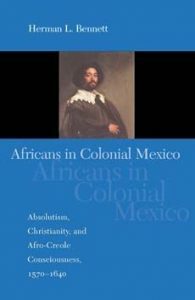 In taking up this question as a conceptual starting point, the talk charts a different, if not lost, genealogies of difference and dispossession that defined how Europeans in the fifteenth and sixteenth centuries registered their encounter with Africans and subsequently classified some as subjects of sovereigns and other as sovereign-less subjects who could be enslaved. Professor Bennett has been the recipient of numerous scholarly awards including two National Endowment for the Humanities Grants, a Mellon Fellowship in the Humanities, a two-year Mellon Postdoctoral Fellowship at The Johns Hopkins University, an ACLS Burkhardt Fellowship, and Membership at the Institute for Advanced Studies in Princeton. A few years ago, he received the American Historical Association Equity Award, awarded for ‘excellence in recruiting and retaining underrepresented racial and ethnic groups into the Historical Profession.’ Two years ago he convened a Mellon Sawyer Seminar: ‘The Cultures & History of Freedom.’ In 2016, Professor Bennett was inducted into The Johns Hopkins University Society of Scholars. 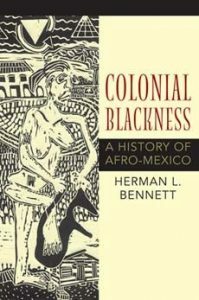 Bennett is the former Editor of the Blacks in the Diaspora Series at Indiana University Press, a member of the editorial board of the University of Florida Presses, a member of the Social Text Editorial Collective and also a former editorial board member of the American Historical Review, the premier journal of the American Historical profession.